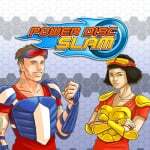 As reported late last year, Power Disc Slam is the debut game from UK based Chequered Cow Games, which is run by former Argonaut man David McEwen. 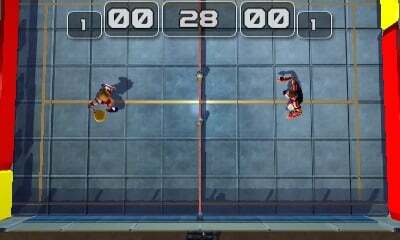 This 3DS title is, in spirit at least, a modern take on Neo Geo title Windjammers, albeit with modern features and 60fps stereoscopic 3D. The game now has an updated website, which sketches out a number of its features that includes various single-player options and even online multiplayer. It's getting closer to release, too, clearing the approval process in Europe and getting closer to that in North America, with final release dates likely to be given soon. If the gameplay is on the money this could certainly have an addictive hook to it. Check out the official website and trailer below and let us know what you think. this looks fun! nice to have something to look forward to on the 3ds. Seems like a fun, mindless party game. I'll be sure to keep my eye on it. Lemme tell you, @buildz, if this is anything like Windjammers it is not mindless party fun... It is cutthroat, frenetic action, not unlike Mario Kart when everyone knows how to play. I hope this lives up to the name. I owned the Neo Geo home cartridge and cd version of WindJammers and it was one of my favorite games. I hope this is fun. But seriously though, from what I've seen of Windjammers, that actually looks like a really fun game. Ok, WOW! The previous trailer really wasn't good. The game looked way to slow paced and character models were eh. This new trailer looks and sounds better. I'm happy for the developer, WindJammers needed a reboot! I do wish the 2d character sprites would come back, but ya can't have your cake and eat it too. I don't like cake anyway. Great to see different modes and obstacles on the course. I was lucky enough to have a friend down the street with a NeoGeo and WindJammers. Can't tell you how hectic and fun 2p was! Good luck and power to ya Chequered Cow Games! ..looks fun, will check it out..got me craving a new or a M2 remake of any SPEEDBALL, ah good times.. So it's definitely got multiplayer, yeah? Local & Online? Download Play? Might tempt me. @Moon it's got Local and Online multiplayer (quick match, friends/anyone room). No download play though, sorry. It's quite a big extra undertaking to make it work well. @chequeredcow No problem, sounds good. Will see how it reviews & what the price is like! It's looking pretty nice though! The online should be a blast. Keeping an eye on it, good luck! With local and online I will be buying for sure. Oh boy, Windjammers is awesome, and should have been released on Wii Shop outside of Japan too (it was taken away from there too because of some stupid copyright stuff, original owner of the IP changed or something).